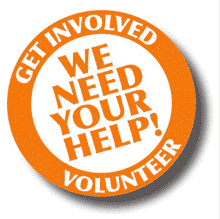 The role of a volunteer is a very important position which can impact the attendees experience at the conference. It is our energy and positive attitude that can make a real difference in the attendees’ experience. Do you have at least two hours to assist in making this conference one of the best? Review the various positions we are looking for. A description of each and the day/time of the conference needed are included. Review the FAQ’s and make your decision. Click here to read the Position Descriptions & FAQs. If the answer is YES, and we hope it is, “Sign Up” to volunteer for the day of the conference. We will reply back with your discount registration code and next steps. We are very appreciative of you volunteering your time and look forward to working together to make this conference the best yet! Many thanks to all of our volunteers from 2019 and previous years. This conference would not happen without you.